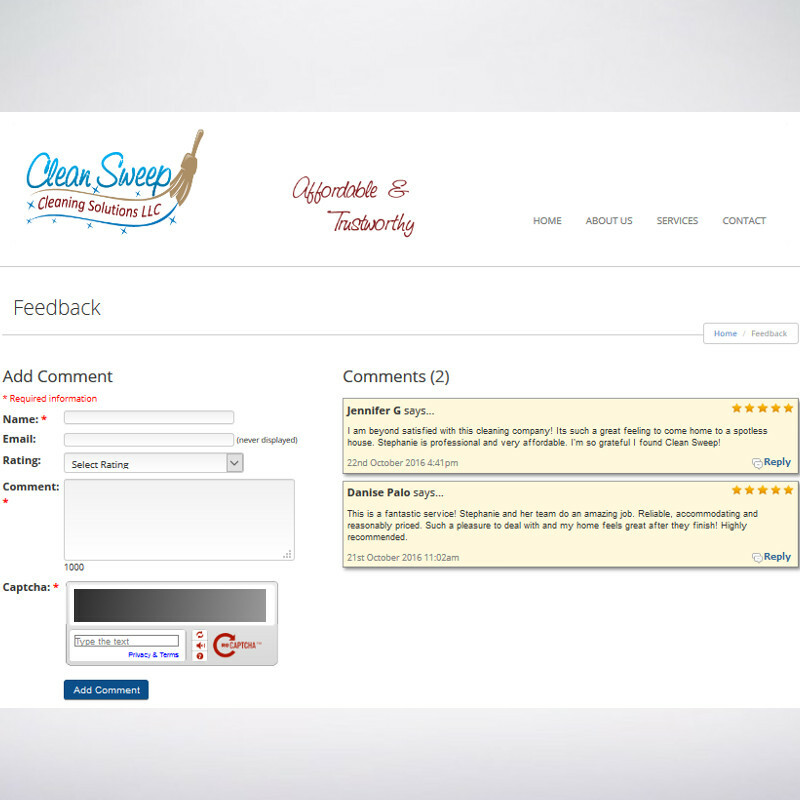 Clean Sweep Cleaning Solutions contacted me for assistance in developing their on line presence. At the time, they were a newer company without any branding or website. 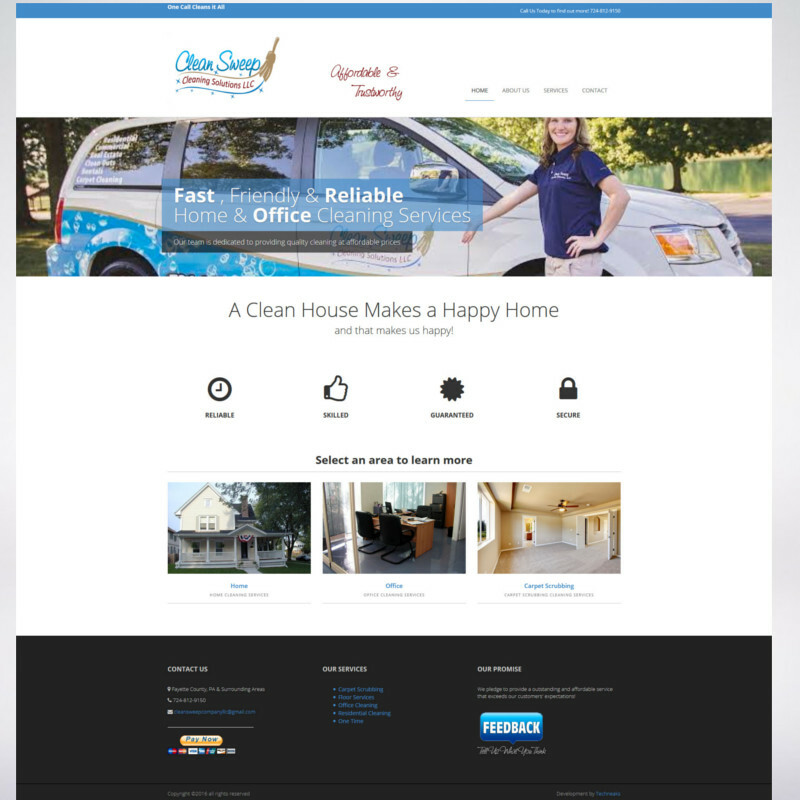 I was able to work with the owner and create an all inclusive package to get Clean Sweep up and running with a professional website. The first part of the project was creating a company logo that would be used throughout the rest of the project. With the help from the owner of Clean Sweep, We were able to quickly mock up a few designs and agree on a concept. Only a few short days later I was able to provide a high resolution vector logo that met their needs and wants. This logo is now being used not only on the company website, but also wrapped on their company vehicles, and on the custom business cards I designed. 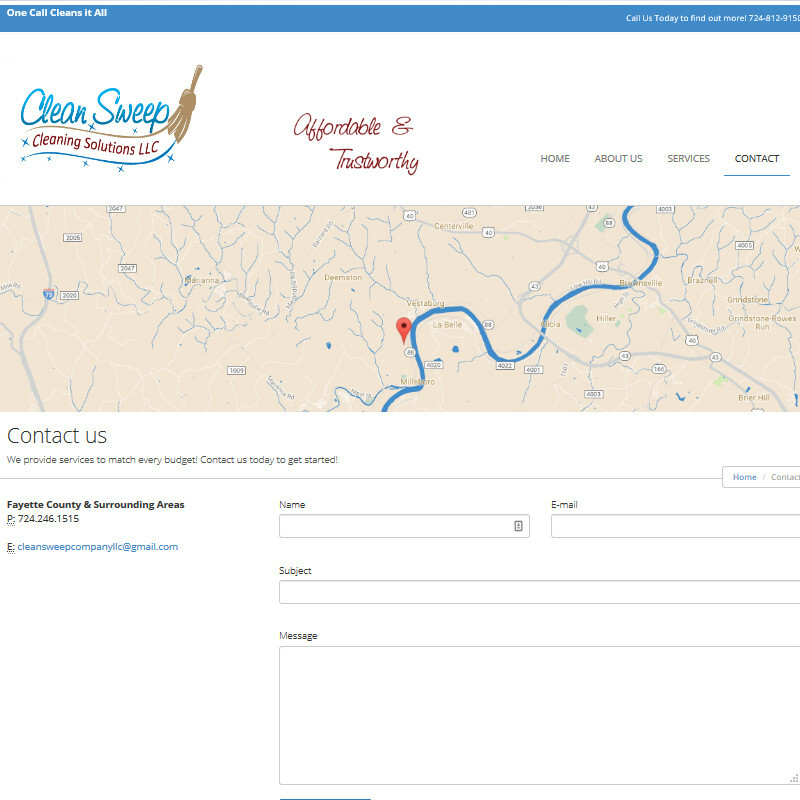 The website provided to Clean Sweep turned out great! 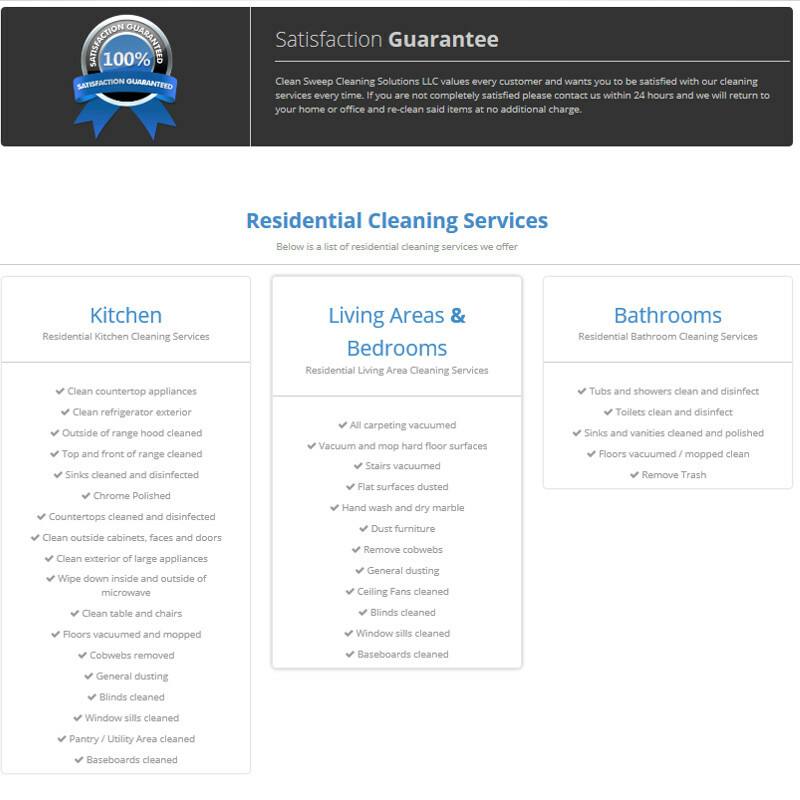 We were able to convey the services offered in a quick and clean method. Per request, we also added in a client feedback section and a link to their P ay Pal account for payments. Stephanie's vision and aspiration made this project a huge success, and I look forward to the opportunity of providing on line marketing services in the future.